Want a Great Sphinx playhouse for your kitty? We all know how much cats love boxes. But people are a little less fond because they are just so brown and, well, boxy. The answer? Landmark Cathouses—cardboard playhouses that look like famous icons from around the world, including, of course, the Great Sphinx. You love ancient Egypt. Your cat loves a cozy place to feel safe. Win-win. The Dutch cat product company (named Poopy Cat!) that came up with this awesome idea has launched a crowd funding page to help them get Landmark Cathouses off the ground. If your kitty could do with some quality time inside the Great Sphinx of Giza, visit their page: www.poopycat.com/en. 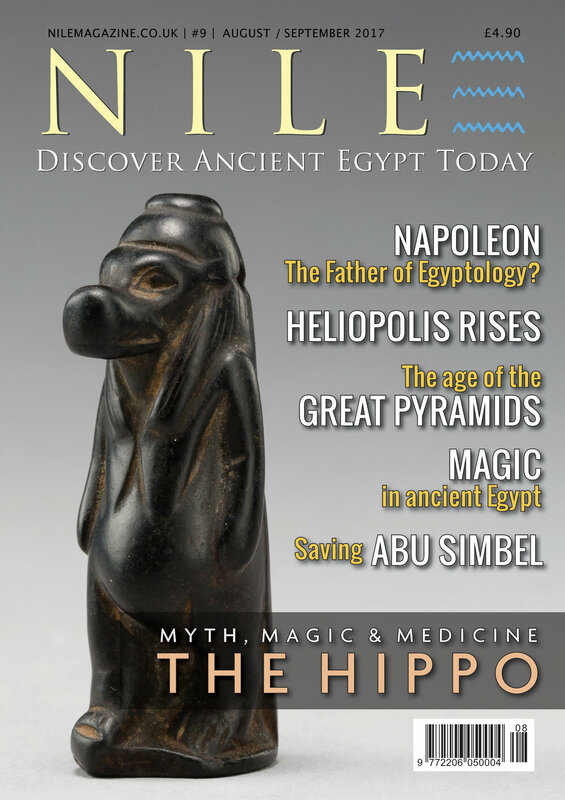 The current issue of Nile Magazine is on sale at WHSmith stores across the U.K. Click here to find the WHSmith nearest you: www.nilemagazine.com.au/whsmith-nile.